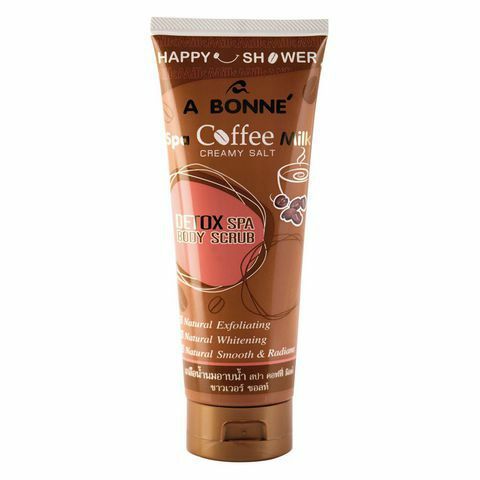 Spa Coffee Milk reveals a secret bath of Spa At Home. With micronized salt scrubbing, it helps remove completely the weathered skin cells and the dirts on the skin and its pores. Coffee Extract with high detox elements will eliminate the chemical toxic substance present on the skin. Blood circulations, skin firming and moisturizing are improved. The presence of Aroma fragrance will make Spa At Home very relaxing. Pure Milk Protein will enhance the skin making it soft, lively and feeling like touching. Arbutin helps delay building up of colored pigmentation and fade away the flaw, dull and dry skin.